Enough With The Photo Tagging! Social media is a wonderful thing. Where else can you share photos of the macaroni and cheese you just made with all your friends, family, and coworkers? Before Facebook came along, sharing photos meant that you had two copies made of each print, so you can give away the extra copy. Since then, we can not only share every photo with hundreds of our friends and family at once, we can even share them with strangers who happen to be the friends and family of the people we tag in photos. That's where things start to get weird. I love the photos App, but it's missing a few critical features. My photo library is pretty big, with about 23,000 photos and videos, it's getting harder and harder to find a photo when you're looking for it. Thankfully Apple's Photos App has features to automatically categorize photos using their cloud based photo recognition software, which basically lets you search for faces and common objects, but it falls short when it comes to personal details. Considering how often people take selfies, why doesn't Apple make a better front facing camera? With every new generation of iPhone, the biggest improvement is almost always to the camera, and most of those improvements are only to the rear facing camera. Meanwhile they keep neglecting the front. I hate having to decide which camera I want to use, balancing between better quality vs ease of use to take selfies. As it stands now, the front camera is nowhere near as good as the back, especially shooting videos. I realize it could drive up the cost a bit, but since they only need to design one camera to use on both sides the price increase wouldn't be too much, especially since both cameras could share the same chipset and production costs. Do you use programs like Adobe Photoshop or Apple Photos to adjust the color in your photos? When I got my first digital camera in the late 90s, I learned a valuable lesson. After spending hours "cleaning up" my photos by increasing the brightness and contrast, I looked at my finished product on somebody else's monitor, only to realize that every photo was now too bright and had way too much contrast. The lesson here is that every monitor is different. Some are brighter or more colorful than others, so when you adjust the colors on your own monitor, chances are they won't look the same on somebody else's. 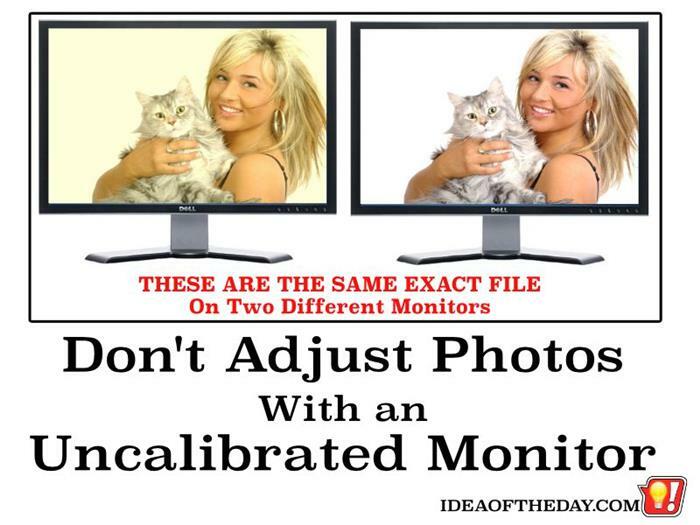 So every minute you spend "fixing" the color on your monitor is wasted because you never know whether your monitor is accurate or not. Why doesn't the iPhone have a Custom White Balance option? Whenever Apple releases a new iPhone, most of the improvements are related to the camera, because the iPhone is now the most popular camera in the world, yet it lacks one of the most important features that serious photographers need the most, custom white balance. Custom White Balance isn't a new idea. There is a Custom White Balance feature in almost every camera made by traditional camera makers like Canon, Nikon, and Sony. The question is... why doesn't Apple include this critical feature? Why doesn't Apple's Photos App let you see or change the MetaData linked to your photos? Every photo you store on your computer or smartphone has hidden information that includes all sorts of useful information about the photo itself that you can only see using a computer. This includes things like where it was taken, what camera was used to take the photo, and dozens of camera specific settings to tell you things like what your lens settings were and whether you used a flash. In addition to the information your camera stored, you can also add a variety of other things like titles, descriptions, and dozens of other things using a photo organizing program such as the Mac version of the Photos App. Why do so many people have horrible online Profile Pictures? In the early days of the Facebook, digital cameras were just catching on, so it wasn't unusual for people to be stuck with a fuzzy picture in their profile. As cameras, and especially mobile phones became more widespread, I've often wondered why so many people still have horrible profile photos. 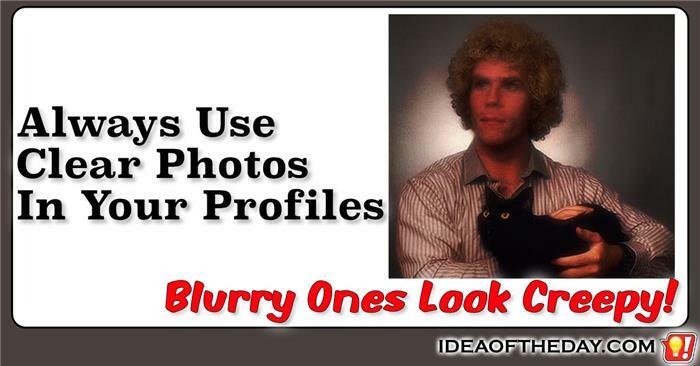 If you're one of those people who has a bad profile picture, why not fix it right now. 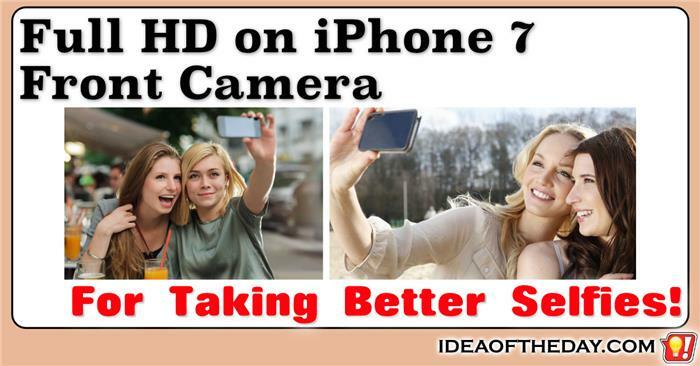 Even if you can't find a nice clear photo that you can upload as your profile picture, I can guarantee you, or someone you know has a Smartphone that has a great camera inside. Find a place where the light is good, and strike a pose! I hate when photo labs crop my photos. Have you ever noticed than when you order prints of your photos, there's a good chance that some of your photo has been cropped out? Most of the time you won't notice it, but from time to time part of somebody's head will be cut off and you'll swear to yourself that you ligned up the photo perfectly when you shot it. This is because the "Aspect Ratio" of your photo is different from the Aspect Ratio of the paper size you selected. The trouble is, most labs stick to a fixed list of popular paper sizes such as 4x6, 5x7, and 8x10. This means that if your camera has an Aspect Ratio of 3:2, a 5x7 or 8x10 photo isn't possible without some form of cropping. Have you ever wondered why some of the photos you take with your iPhone are upside down when you transfer them to your computer? One of the weirdest problems with the iPhone is trying to figure out why some of the photos you've taken are right side up, while some of them are upside down. It doesn't seem to make sense. When you look at them on your iPhone, they look fine, but after browsing or editing them on your computer, you have to manually flip some of them. How can that be? Having only 4 digits for photo numbers is a real problem. We take it for granted that whenever we take photos, our devices assign a unique filename. Most of the time, this consists of a prefix and a number. The iPhone for example uses the prefix IMG_, and a 4 digit number, for a total of 8 digits, including the underscore in the middle. Sounds simple enough, but now that people can take hundreds of photos at any given event, that 4 digit number can cause a lot of problems down the road as we approach the 9999 mark. Sometimes I'm blue. It's not my fault. One thing that most YouTube creators overlook is getting the right white balance, which makes their videos look a bit off color. That's because most people set their cameras to use Automatic White Balance (AWB), which means that the camera makes a GUESS about the actual color of the light in the room. Huh? Color of the light in the room? Contrary to what many people think, every light has at least some color. There are very few truly "white" lights. This means that when you are in your house, using an old fashioned tungsten light bulb, chances are it's a bit yellow or even orange. This is what people would call a "Warm" temperature. Conversely, a lot of florescent bulbs are somewhat blue, which people would call "Cool". One of the best ways to improve the look of your photographs and Youtube videos is to use a light meter and use manual settings. I get a lot of comments on my Youtube channels from people asking for tips on making better videos, so from time to time, I'm going to take you behind the scenes and show you some of my techniques. Today I'm going to talk about one of the easiest ways to improve the look of your videos by using a light meter, instead of relying on your camera's automatic settings. For some people, the idea of turning on manual settings can be pretty scary. After all, automatic settings are supposed to make it easier to use your camera, so why would you turn on manual settings? The FAT file system is antiquated, but for some reason it's still the default file system for devices that use SD memory cards. Because of this, cameras and other devices can't save or load files larger than 4GB, which means that 1080 HD videos are limited to about 15 minutes, and 4K cameras are limited even more. You can swap between the front and back camera when you use FaceTime, but they don't have an option to swap cameras while shooting video. Wouldn't it be great to have an option to switch back and forth between the front and back camera while shooting video on the iPhone? This would be perfect for people who want to shoot a regular video, then switch back to a selfie and wave to the camera. This biggest hurdle is the fact that the front camera still isn't 1080p HD, which means that until they eventually upgrade the front camera to full HD, the output file will likely end up being 720p. Of course, that also means that you won't be able to use some of the other more advanced back camera features like ultra slow motion, and 4K video. One of the things I miss most about old school camcorders is having a Pause Button. Now that most people use their smartphone to shoot video, we no longer have a way to pause videos. Every time you hit the button, it starts and stops the video, but you end up with with a whole bunch of separate video files. Wouldn't it be great if you had a way to just pause the video, then continue using the same video file. Right now, the only way to put together a video like that is to use a video editing program like iMovie, which is a lot more complicated and time consuming. If nothing else, it would be great to have a second record button with a plus sign that essentially means "Add this to the last clip". Everyone loves taking Selfies. The only problem is the front camera isn't as clear as the back camera. More pictures today are taken using an iPhone than any other camera, including traditional camera brands like Nikon, Canon, and Sony, which is why Apple spends a lot of time improving the primary camera on the back of the iPhone. The latest iPhone can not only shoot stills that can rival some DSLRs, it can even shoot jaw dropping 4K video, which until recently, was only available in very expensive professional cameras. Nobody likes videos shot in portrait mode. With a regular camera, there are two distinct ways to hold your camera, "Portrait" and "Landscape". 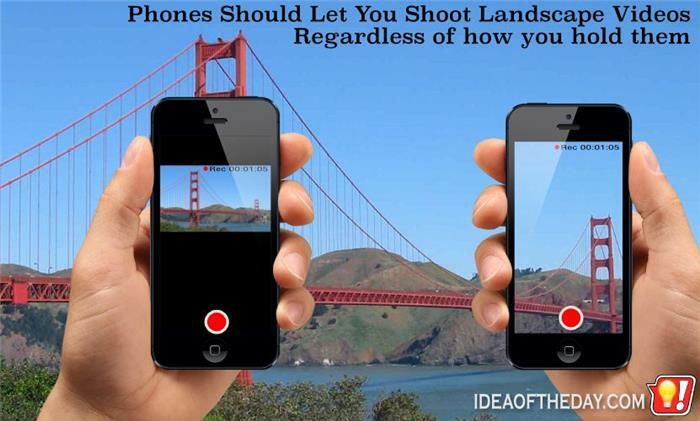 For a regular camera, Landscape is the default position, which yields wider photos. By holding a camera sideways, you get photos that are taller. Sounds simple enough, however when mobile phones came along, the default, natural position has always been Portrait mode... with taller images. This means that most photos taken with a mobile phone tend to be in Portrait mode. With still photography, it's not a big deal, but for videos it's a complete mess. Whenever you play a video shot in Portrait mode on a regular (wide) screen, the video doesn't fill the whole screen. Don't you hate when people shoot videos in portrait mode? Everyone hates seeing videos that were shot in portrait mode, but some of the blame is on Apple, because they could easily make the camera shoot in landscape, regardless of how you hold your iPhone. The main reason most people shoot videos in portrait is that it's a more comfortable way to hold your iPhone. While it's definitely useful to allow you to shoot still photos in portrait, there's very little reason why anyone would want a video in portrait mode. Why can't you add text captions in the Apple Photos App? It's odd that Apple's Photos App doesn't have a feature that lets you add text captions. 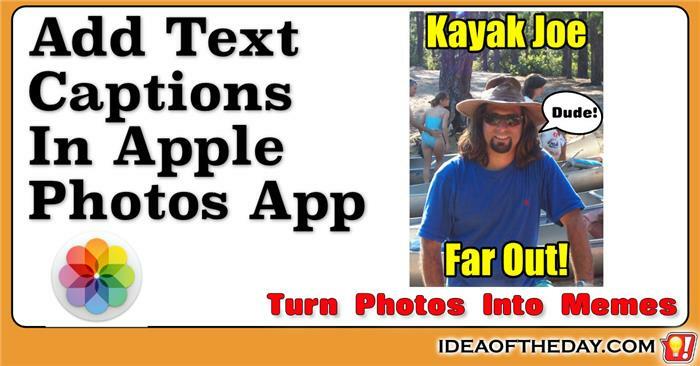 It's a great way to turn photos into something fun, like an Internet Meme. Even if you're not trying to turn your photos into Memes, the ability to add text to a photo is still very useful for adding titles, names, and comments to your photos. For example, a photo of two people standing in front of a car may seem uninteresting on the surface, but adding the caption "Joe's first car" adds an entirely new dimension. 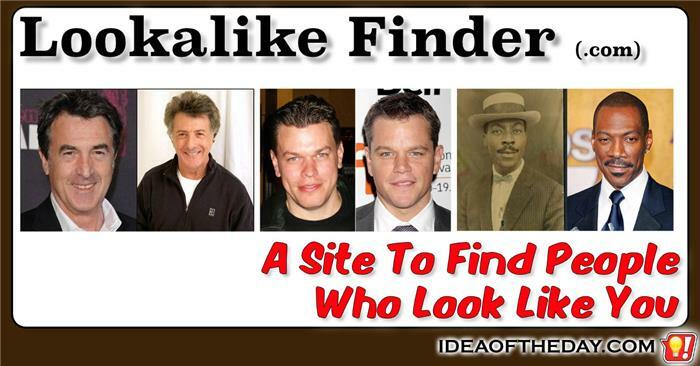 A site to find people who look like you! About a year ago, somebody sent me a photo of somebody that looked just like me. It only took me a second to realize it wasn't me, but for a moment I actually thought it was. That made me realize that at this very moment, there are probably hundreds of people in the world that either look like me right now... or look like an older or younger version of my present self. They say you should never judge a book by it's cover, but when I look at the photos some people use in their online profiles, I have to wonder if they realize how many people are basing their opinions on their poor choice of photos. Thanks to SmartPhones, just about everyone has thousands of digital photos to choose from as their profile photo, so you have to wonder why some people pick blurry photos with poor lighting as the one photo that is supposed to represent them online. It goes beyond blurry photos. Some people use photos that are just plain awful. For example, with thousands of photos to choose from, why pick photos of yourself pouring beer on your head at a frat party? Or photos that look like a mugshot? 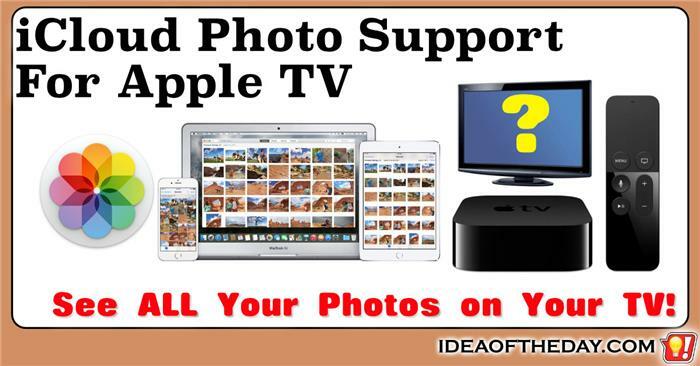 Why can't you see your entire iCloud Photo Library on the new Apple TV? The newest generation Apple TV has the same icon as the Photos App that runs on iOS and OS X, but it's nothing at all like the Photos App on the Mac, iPhone or iPad. I can understand why it doesn't fully support things like photo enhancing, but it should at least give you full access to your entire iCloud Photo Library. Right now, I've got nearly 20,000 photos in my iCloud Photos Library, but the Apple TV Photos App just shows the latest photos, and it really doesn't have any features to search the library. People take a lot of selfies. The trouble is, they're not as good as the ones from the back camera. Techies know that when you want to shoot the best possible selfie, you need to flip over the camera and use the one on the back. That's because the back facing camera on most cameras, including the iPhone have better lenses and higher resolutions, including full HD. 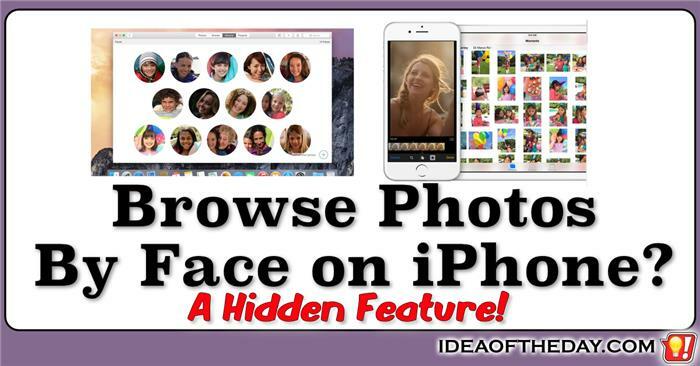 Although Apple's new iOS Photos App no longer shows you the option to browse by face, it's still there... sort of. I love Apple's new iOS Photos App, but I was surprised that some older features vanished, such as Smart Albums and face browsing. In older versions, if you used iPhoto on your Mac to tag faces or create Smart Albums, you could easily browse them on your iPhone. When the new version came out, I spent quite a few hours tagging faces on my Mac, expecting to see them in the Photos App on my iPhone, only to discover the faces option was gone. At first, I assumed this was because of a delay in syncing my photo library to iCloud, so I waited an hour or so. The next day... still nothing. Every time you take a photo, it records what camera was used to take it. While this may not seem important, but the fact that every photo in your library has that information can come in handy, especially when you are looking for a photo somebody sent you. When you've got thousands of photo, finding a photos like that is like finding a needle in a haystack. So, let's say you've got 20,000 photos, and your friend sends you a picture, but you can't find it. 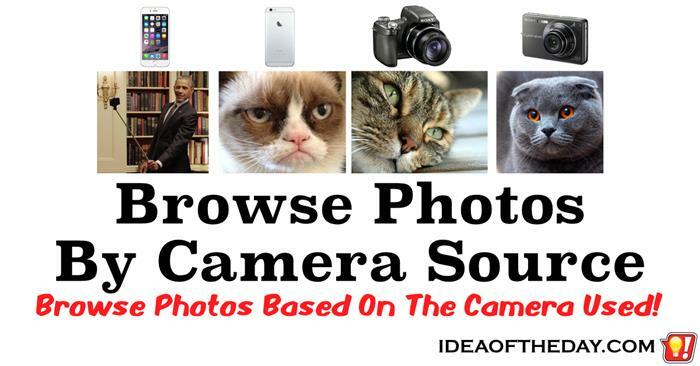 By browsing by Camera Source, you can narrow the choice down quite a bit. It's a pain in the neck sorting through duplicate photos. 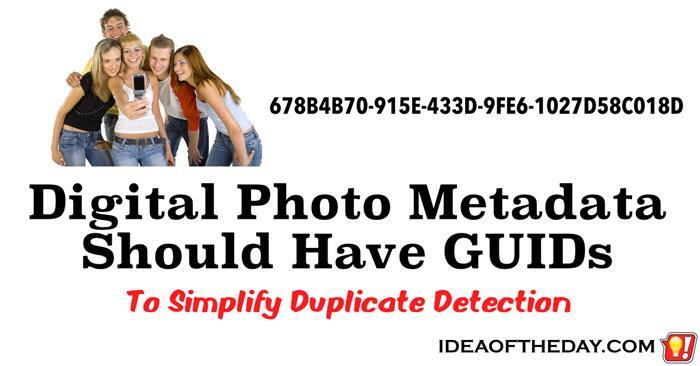 If you've got a large library of digital photos, chances are you've got a lot of duplicates. It's easy to understand why. Like most people, whenever your camera or your cell phone starts to run out of space, you dump a copy of the photos in a folder somewhere and start deleting photos from your camera. If you didn't delete them all, there's a good chance you'll end up copying a lot of duplicate photos in yet another folder at a later date. Rediscovering Picture Frame Mode, While Charging Tablets. Remember when Apple had a button on the lock screen to turn your iPad into a Digital Picture Frame? I've been a fan of digital photography for quite a long time. When digital picture frames started to catch on, I was eager to pop one on my desk to see my favorite photos. As it turns out, it was too much work. 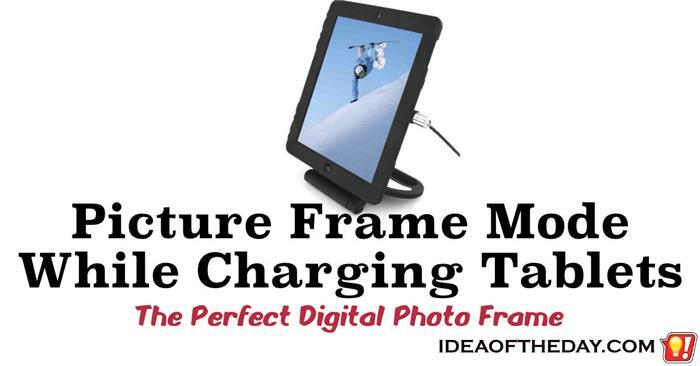 Digital picture frames seem pretty simple. You pop in an SD card full of photos, and turn it on. The trouble is, the hardware and software are slow and difficult to use, making it hard to constantly update the photos. 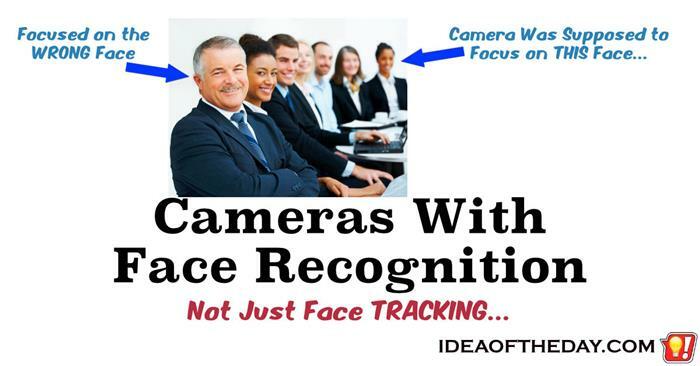 Cameras With Face Recognition... Not Just Face Tracking. Face tracking is a wonderful thing. 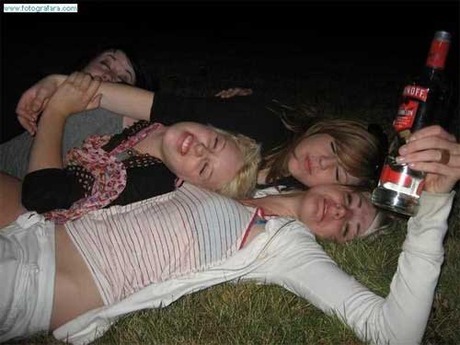 The only trouble is it often focuses on the wrong face. Just about every camera made in the last 10 years has some form of face tracking as an option. While this clearly makes it much easier for the camera to decide where to focus, it's not the best option when your subject is surrounded by other people that don't need to be in focus. When your subject is just another face in the crowd, there is no way to insure your camera will know which face to track. That's where Face Recognition could come in handy. 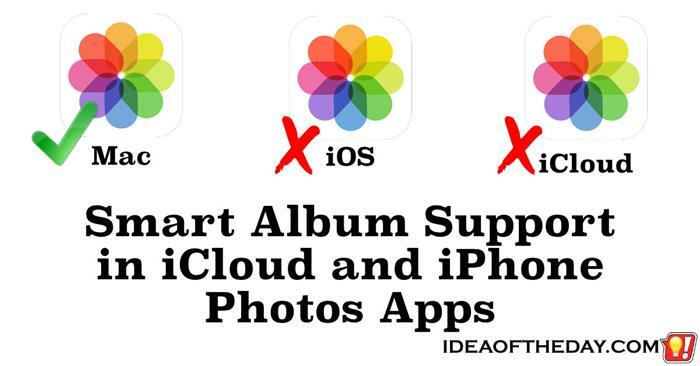 Smart Albums are missing from the iOS and iCloud versions of the new Apple Photos App. One of the biggest problems with digital photography is that it's getting harder and harder to organize and find photos. That's why I get excited whenever I find a new way to organize my photos and videos. Before Apple's new Photos App came out, one of my favorite tools for organizing photos was using Smart Albums in iPhoto, which allows you to automatically organize photos without spending hours sorting them by hand. Unlike regular albums, where you have to manually add each photo to the album, all you need to do to make a Smart Album is set up a series of rules and filters and the Photos App does all the work. You reach into your camera bag to get a fresh battery... but which one? Anyone who has a lot of rechargeable batteries knows what a pain in the neck it is trying to remember which batteries are charged, and which ones you've already used up. 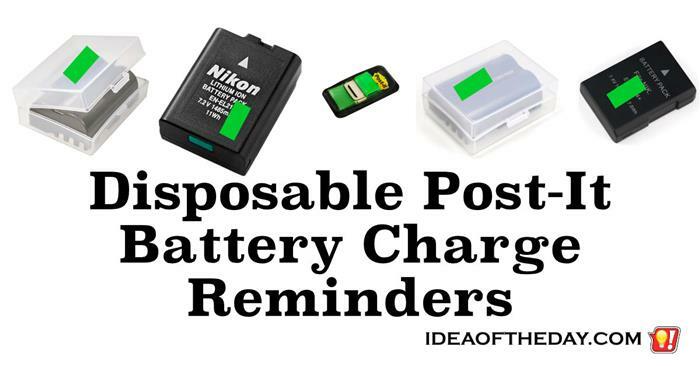 The more batteries you have, the harder it is to insure you don't grab one of the discharged batteries by mistake. Ideally, it would be great if all rechargeable batteries had electronic power indicators, but even a low tech battery cover or case with a slider would be a huge improvement over having no indicators. A few companies actually have rechargeable batteries with LCD or LED indicators to let you check the amount of power left in your batteries, but pretty much 99% of them don't have any indicators at all. This one is a bit technical, but stay with me. There's a reason. Let me start by talking about how Edison's original light bulbs work. The concept is simple, a current is applied to a filament until it got so hot, that it glows. Once you turn off the current, the filament cools off, and the light goes off. In the US, power cycles at 60 Hz, which means the power actually fluctuates on and off about 60 times per second. 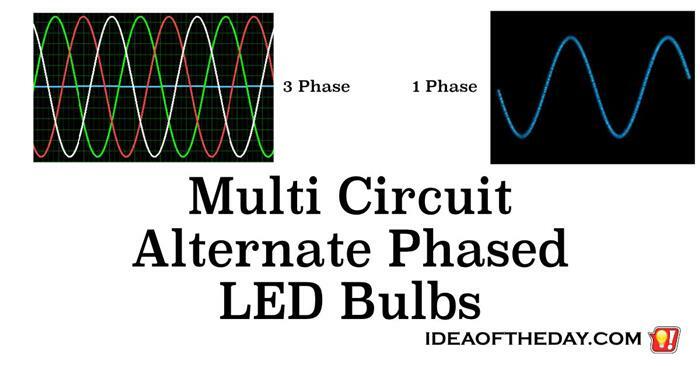 With a fluctuation of just 1/60th of a second, the older incandescent bulbs still remain pretty consistent, because it doesn't give the filament time enough to cool off, but LEDs are more sensitive to those fluctuations so although the human eye may not notice it, an LED bulb is actually flickering light and dark 60 times a second. Using Larger Sensors to Dramatically Improve Video Stabilization. 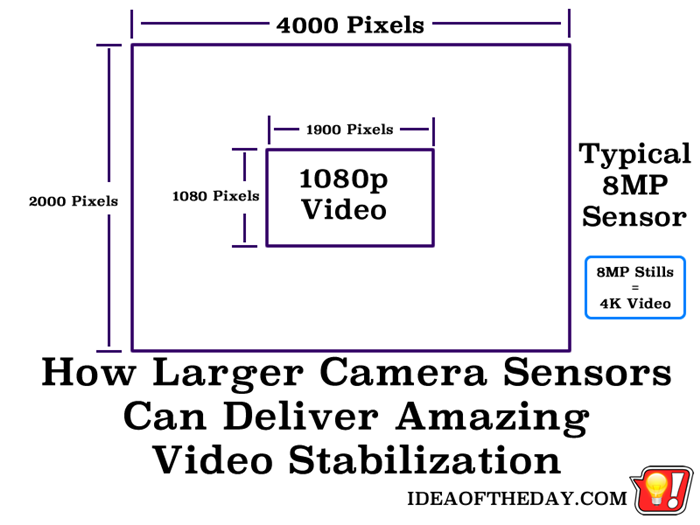 Here's how larger image sensors will lead to amazing video stabilization. Today's idea is going to sound a bit complicated, but it's actually quite simple, once you get the big picture. The first step in understanding the "big picture" is all about starting with a big picture. Camera resolutions keep getting higher and higher, but as many people know, once you get past a certain size, those extra megapixels don't make your prints any sharper. In fact, for prints under 8x10, anything over 2-4 megapixels doesn't make the photos look any better. Not only that, if you only want to show them on your computer or iPad, you can actually get great results with as little as 2 megapixels or less. So, if all those extra megapixels don't improve your photos... what good are they? The Majority Of PhotoShop Users Are Wasting Their Time and They Don't Know Why. I used to think Solitaire and MindSweeper were the biggest wastes of time you could find on a computer. I was wrong. I know a lot of people who use programs like PhotoShop to "Touch Up" their photos. One day I sat with somebody who showed me how he painstakingly put each photo through a series of adjustments to... bring up the contrast, fire up the midranges, and all sorts of things to get each and every photo just as he said they should be. I noticed the monitor on his desktop looked pretty much like it was bundled with the computer. I had to break the news. He just wasted most of this time. Today's digital cameras are amazing, but sometimes the colors are way off. I hate when I shoot 100 pictures, then come home to discover that everything looks like it's yellow, or blue... or simply a bit off. 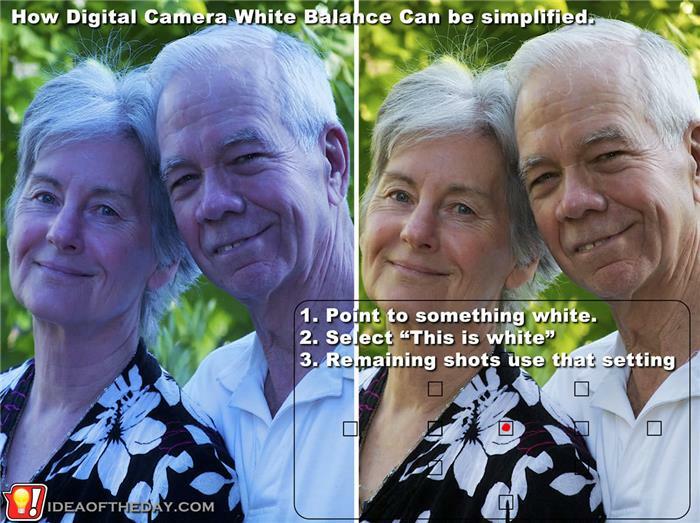 The key to getting the colors just right is mastering "White Balance". White balance is a feature most digital cameras have to compensate for the various color "temperatures" of light, so the final photo will be more realistic.